How to watch Angry Birds: Season 3 (2018) on Netflix Netherlands! 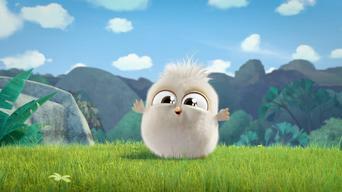 Yes, Angry Birds: Season 3 is now available on Dutch Netflix. It arrived for online streaming on September 12, 2018. 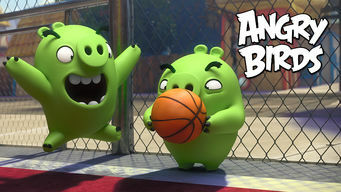 We'll keep checking Netflix Netherlands for Angry Birds: Season 3, and this page will be updated with any changes. Birds Red, Chuck and their feathered friends have lots of adventures while guarding eggs in their nest that pesky pigs keep trying to steal. Greed. Anger. Family. No, this isn't "The Godfather." It's "Angry Birds," where battles are eggs-tremely personal. Season 1 of Angry Birds has 16 episodes. Because different Netflix countries have different availability for episodes, you'll need to check the episode listing below to see which are available in the Netherlands. 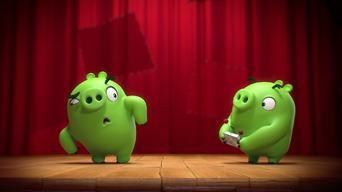 The Bad Piggies show off their dance moves, Matilda makes a stew, Chef Pig dons a disguise, and Red goes on vacation. The Blue Birds fend off the Bad Piggies, Chuck gets tricked, Terence and Matilda do a little gardening, and Chef Pig goes after the crown. The Bad Piggies bird-nap the Blue Birds, Corporal Pig launches an offensive, Foreman Pig takes a joyride, and Chuck shows off his speed. Red gets hypnotized, Chuck tries to crash through a gate, the Bad Piggies start a fire, and a soccer game gets out of hand. Hamshank Redemption / Green Pig Soup / Catch of the Day / Nighty Night Terence / Piggywig / All That Glitters / Push-button trouble / Shazam! A Bad Piggy breaks out of prison, Matilda makes some ham soup, the Bad Piggies launch a sea-to-shore attack, and a sleepy Terence protects the eggs. Pig Plot Potion / Tooth Royal / Night of he Living Pork / King of the Castle / Love is in the Air / Pig Power / Puffed Up / Peekaboo! Chef Pig transforms Red, King Pig gets a toothache, Bubbles battles some zombie pigs, and a sandcastle-building competition goes too far. Chuck gets jealous as Matilda and Red keep the eggs warm, Bomb wants some of Matilda's corn, and King Pig tries to walk a Blue Bird. The pigs launch an operatic scheme, the Blue Birds get a stubborn case of the hiccups, and Matilda is tricked into chasing a fake butterfly. Piggies from the Deep / Oh Gnome! / Shrub it In / The Truce / Operation Opera / Piggy Love / Cake Duel / Dr.Pork, M.D. Two Bad Piggies dress like sharks, a creepy robot gnome scares Matilda, and Bomb and the Blue Birds try to repair a shrub before Matilda notices. A careless Chuck gets snubbed, Bomb takes an explosive sleepwalk, Bad Piggies go on a treasure hunt, and Bubbles and King Pig compete for candy. Chuck plays hide-and-seek with the Blue Birds, Red learns to swim, Bomb tries to be a superhero, and Red tidies up the garden while watching the eggs. Cave Pig wreaks havoc, the Bad Piggies get ready for the holidays, a cute robo-dog terrorizes the Pigs, and Chuck tries to impress a rock. Chuck gets famous but Red is unimpressed, Corporal Pig loses a helmet, Chuck romances a rock, and Bomb jousts with first prize on the line. King Pig grows a royal beard, Matilda plays ice hockey, Chuck and Matilda compare gardening techniques, and Chuck trains for a big boxing match. 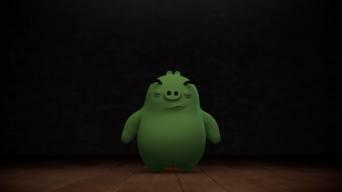 The Angry Birds eat like pigs, Red battles King Pig for an egg, Professor Pig helps his boss get some sleep, and King Pig becomes possessed. 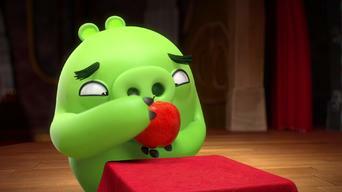 Season 2 of Angry Birds has 7 episodes. Because different Netflix countries have different availability for episodes, you'll need to check the episode listing below to see which are available in the Netherlands. The Bad Piggies distract Bomb with decoys, Matilda plays the saxophone, Chuck has a bad hair day, and Stella and her friends have adventures. Chronicler Pig tells King Pig a bedtime story, King Pig plays sheriff, and the Birds and Pigs get dressed up for a spooktacular Halloween. King Pig tries to look his best for a portrait, Terence isn't pleased when Chuck breaks the slingshot, and an aging potion turns everyone old. The Birds and the Pigs fight over the Christmas tree, Matilda helps Red learn to relax, and Chuck and Bomb use skateboards to chase down egg-nappers. Pigs do battle in the wrestling ring, Chuck has a close encounter, two butlers vie for King Pig's approval, and Chuck can't keep track of the "eggs." The Pigs ride a roller coaster, King Pig disappears at a magic show, and Matilda finds romance with an unexpected suitor. King Pig fears he is being followed, Chuck photo-bombs Matilda, Chef Pig does his best to bake a delicious dessert, and Terence finds a discarded toy. Season 3 of Angry Birds has 8 episodes. Because different Netflix countries have different availability for episodes, you'll need to check the episode listing below to see which are available in the Netherlands. A trio of pigs compete in a sharpshooting contest, the Blues order an outdoor playset, and a pig tries to deliver a package through the mail slot. 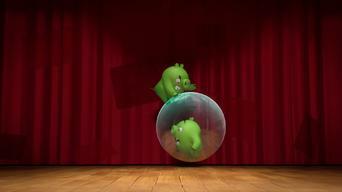 A competitive pig attempts to jump over hurdles, the Hatchlings learn how to swing a racquet, and two of the Blues compete in a dance off. Minion Pigs put on a frightful shadow play, the Blues entertain the Hatchlings with circus stunts, and a lone pig gets lost in the fog on Halloween. A Minion Pig gets his head stuck in a jack-o-lantern, the Blues have some fun with a catapult, and Janitor Pig tries to change a street lamp. The Minion Pigs fix a chair, Jay struggles to tell his mom he broke her vase, and the Blues try to help rescue Will, who gets stuck in a tree. A Minion Pig encounters technical issues with his mic, two of the Blues fight over the last strawberry, and a pig has a craving for a hot dog. 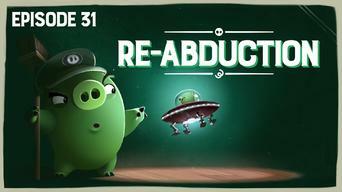 Janitor Pig has a close encounter with a UFO, the Blues try to outplay each other in croquet, and a pig will stop at nothing to get a good tan. Chef Pig cooks up some pancakes, Vampire Pig has a severe cold, a sad Janitor Pig cleans the stage for the last time, and the Blues help build a bench.